Over the past 4 years Soci has built a strong client relationship with Mercedes Benz providing digital services, specialized design and strategy. In collaboration with our 3D Design and development partner Ignition Digital Images, we have executed the UI/UX of 4 iOS and Android-native Augmented Reality applications as well as a dynamic personalized website and product configurator. When Mercedes realized that its newest model, the 2014 CLA, would not be ready in time to debut at the 2014 Toronto Auto Show, they challenged Soci to show it to consumers anyway. We thought "no vehicle, no problem" and in typical fashion, we produced was all they asked for and more. 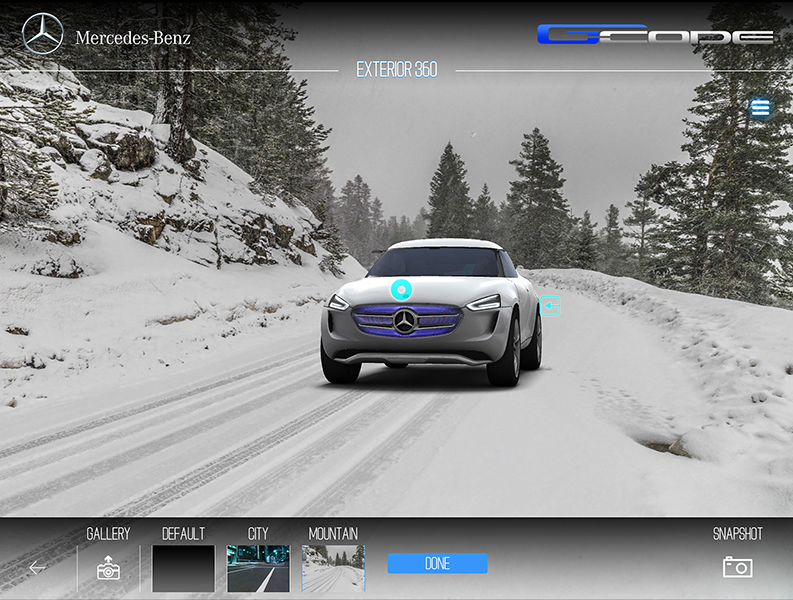 An Augmented Reality iPad application that showcased the 2014 CLA in full scale, personalizable for every Mercedes enthusiast including a link to a fully customized web experience that matched their own personal style. 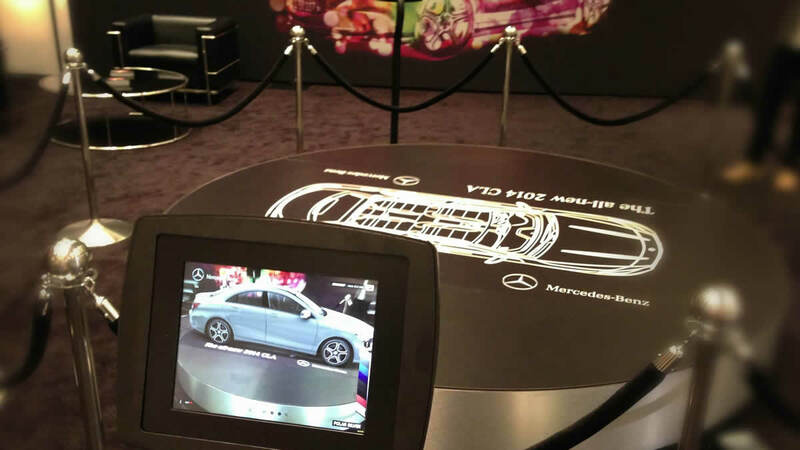 Upon approaching the Mercedes booth, users registered for the experience and then used the iPad's built-in camera to create a 3-D rendering of the vehicle right in front of them. 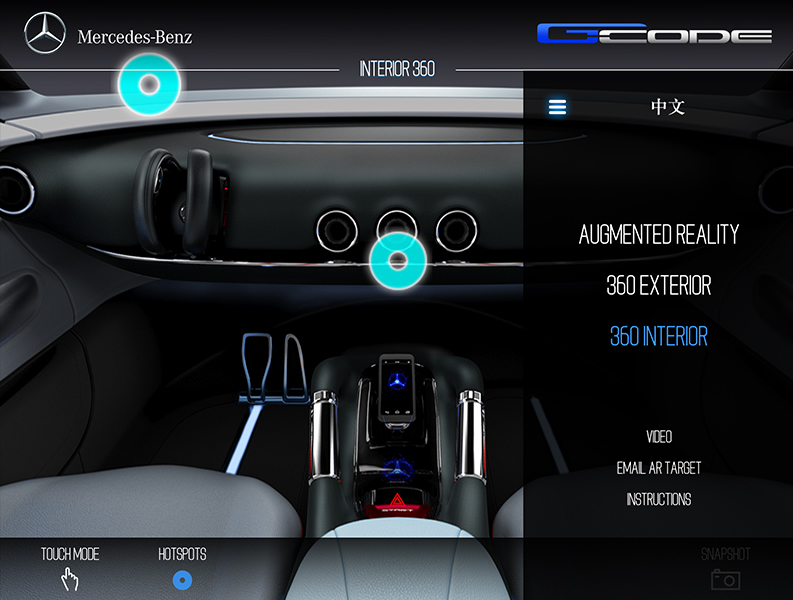 In 2015, Soci took the Mercedes AR experience even further adding a complete interior tour of the 2015 C-Class including Gyroscope control for navigation as well as customizable interior colours. While in development the UI/UX was completely redesigned resulting in vastly improved quality including enhancement of the Exterior vehicle tour and rendering. When Soci reimagined the CLA Augmented Reality App for 2015, we wanted to build on the success of the C-Class execution. As with the C-Class execution, we added a complete interior tour of the vehicle including Gyroscope control for navigation as well as customizable interior colours. This time we gave users the ability to turn on the camera on their device while touring the interior and fill the windows surrounding the vehicle with what the camera was seeing. 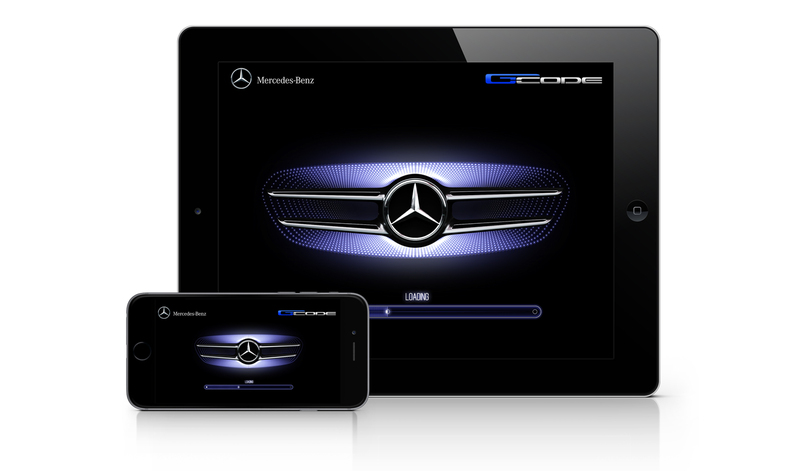 For this version of the app, we gave users the ability to customize the environment surrounding the vehicle exterior. Users were then offered the specific vehicle features appropriate for that environment (ie. Winter package details were displayed when a snowy landscape was selected). Users could navigate the vehicle interior in 3 dimensions, inspecting the various hotspots highlighting the details of each feature. 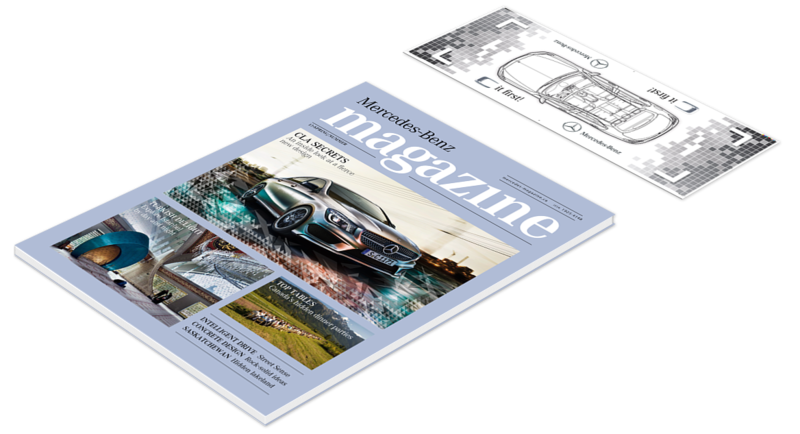 When asked to enhance the reader experience of Mercedes Benz magazine, Soci worked with Ignition Digital to literally make the vehicle jump right off the page. We created a custom AR target solution for the cover that, when viewed through the iOS or Android CLA app, rendered the vehicle in 3-D on top of the magazine.